What is refillit’s returns policy? 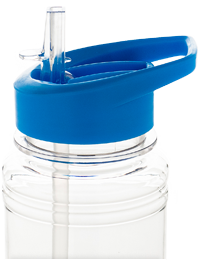 Refillit bottles are covered for faulty workmanship for a period of 6 months from purchase. Damage caused after you have received the bottle as well as general wear and tear are not covered and may not be returned for a replacement or refund. Faulty bottles will need to be returned before a refund or replacement can be made. You may also opt in to receive further information from refillit via our customer newsletter. refillit will not sell your information to third parties but may need to pass on your information to a third party as part of fulfilling your order (for example, providing your address to a courier). The information refillit collects generally includes your name, telephone number, mailing address, delivery address, email address, and account details. refillit will not handle or store your credit card information for online purchases. Credit card purchases are conducted via a secure 3rd party gateway. Full payment is required before your order can be despatched. refillit is proud to be supporting to some of the world’s poorest communities through our partnership with SkyJuice™. If you are a school, sporting club, community group, cafe or business we’d love to partner with you too. Contact us to discuss how we can help your organisation with our retail and fundraising programs.